BELIZE CITY, Thurs. 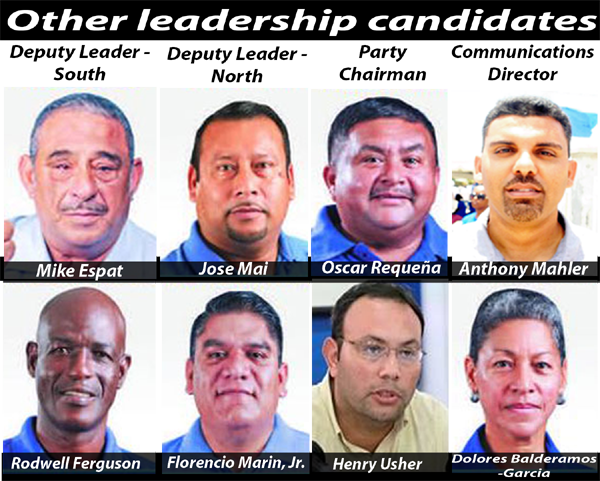 Jan. 28, 2016–Three thousand delegates of the Opposition People’s United Party (PUP) are expected to converge on the nation’s capital, Belmopan, on Sunday, when, for the first time in 8 years, they will get a chance to vote in a national leadership convention for top posts in the party. We understand that voting should run from 9:00 a.m. to 3:00 p.m. at Belmopan Comprehensive School, with results expected a few hours after delegates would have had a chance to cast their votes. The last time PUP delegates had a chance to select a leader by voting was in March 2008, when about 650 delegates voted and chose Johnny Briceño, by a margin of only 20 votes, over Francis Fonseca. Will the PUP delegates choose new leadership? Briceño, who retained the seat in a 2010 endorsement convention, served as leader until October 2011, when he stepped down. Mark Espat, who now serves as Ambassador for the ruling United Democratic Party, was interim PUP leader for just over a week. Subsequently, Fonseca was chosen as leader and endorsed in a convention in October 2011. He has served as PUP leader since, but on November 5, 2015, the day after his party suffered its 9th consecutive defeat at the polls since 2006, Fonseca announced that he would resign as Party Leader—but later decided that he would again contest the seat. Sunday’s vote represents Fonseca’s first challenge as leader of the PUP, and Briceño will return to do battle with him for the highest position in the party. 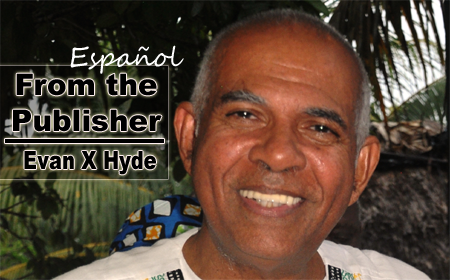 There is a third contender for the leadership – Cordel Hyde, the Lake Independence representative who won by the largest margin for the PUP in the last election. Hyde’s delegation will be one of the largest, at nearly 130 strong. In the 2008 convention, there were far less delegates for two reasons: only 1 delegate was chosen for each 100 votes the PUP had received in a particular division. 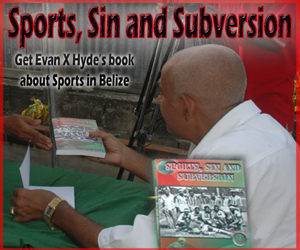 At the time, Briceño, Espat and Hyde had mounted a vigorous campaign to change that number to 1 in 25. While the 2008 convention proceeded without the change, in this year’s convention, the new formula will apply. The second reason why more delegates will get a chance to vote is that the PUP got more votes in the 2015 election than it did back in 2008, when its popularity fell at the polls. While all candidates have been running vigorous campaigns both on the ground and on social media, primarily through Facebook campaigns, their focus has been on lobbying with the delegates with whom the power will lie on Sunday to decide on the leadership structure of the Opposition party—that is, whether the “old guard” will continue to hold the fort, or whether “new blood” will take over the reins of the PUP. A sample ballot posted on Facebook shows that apart from the three candidates vying for the leadership position, there are 8 other candidates for four leadership posts. Aligned with the Fonseca camp are the following candidates: Mike Espat, who wants to keep the post of deputy leader – south, Florencio Marin, Jr., who wants to remain in the post of deputy leader – north, Oscar Requeña, who wants to become party chairman and Dolores Balderamos-Garcia, who wants to be the national communications director. 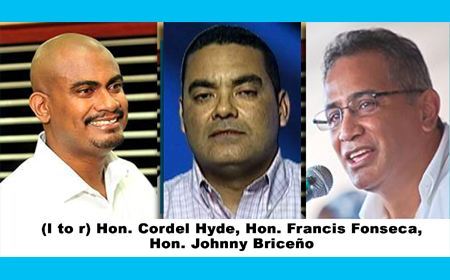 Briceño’s slate includes Rodwell Ferguson for deputy leader – south, Jose Abelardo Mai for deputy leader – north, Henry Usher, seeking another term as chairman, and Anthony Mahler for national communications director. Hyde does not have a slate. If Sunday’s convention results in new leadership for the PUP, it may also trigger resignations in the Senate, as it has been the norm for appointees to step down to allow the new leadership to appoint alternative persons to those posts. 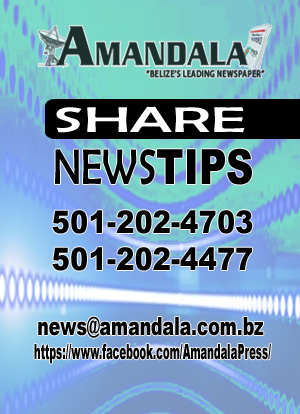 Of note is that nearly a third of the delegates who will decide Sunday’s race will come from the Belize District area, including the cayes. Delegates from Cayo and Stann Creek will together form the next third, while those from the northern districts make up the final third of the pie. Representatives of the youth and women’s arms of the PUP, as well as 7 committee members and chairpersons from the constituencies, would also be included in the delegations. Even as the Opposition is preparing to stage an exciting political race in the days ahead, the ruling United Democratic Party (UDP) has also announced plans to hold its leadership convention. After the November 2015 elections, UDP leader Dean Barrow announced that he won’t seek re-election, and he also indicated that he would eventually step aside to make way for a new leader. How early that happens remains to be seen.